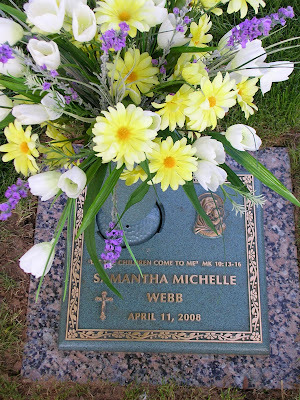 The memorial for our Samantha arrived, so we thought we'd post a picture for those interested in seeing where she rests. (You can click the picture to see it bigger.) Below is the scripture reference we chose for her marker. It was the Gospel reading at her funeral Mass.